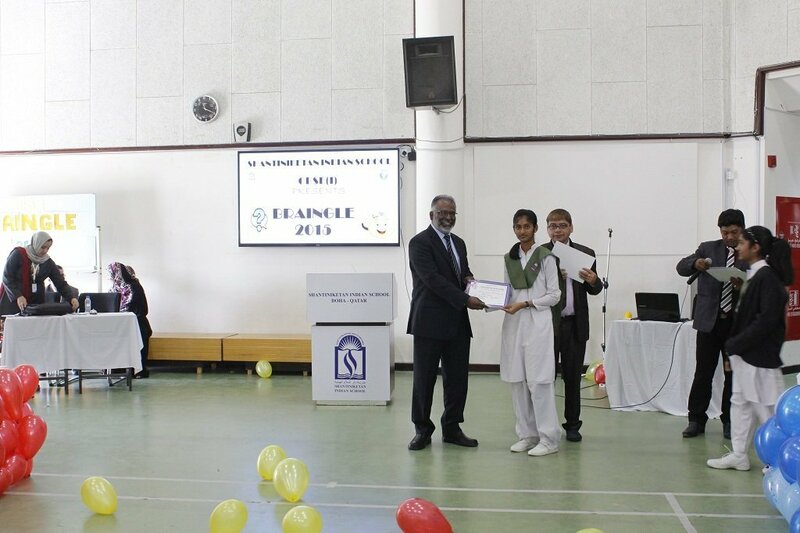 The CBSE (i) added another success to the eventful Session of 2015-16 with a superbly contested Inter-House Quiz titled “BRAINGLE”. 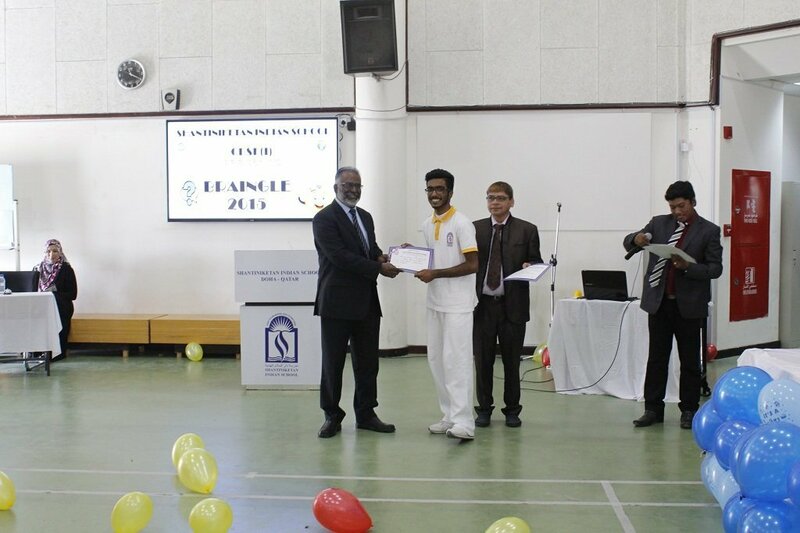 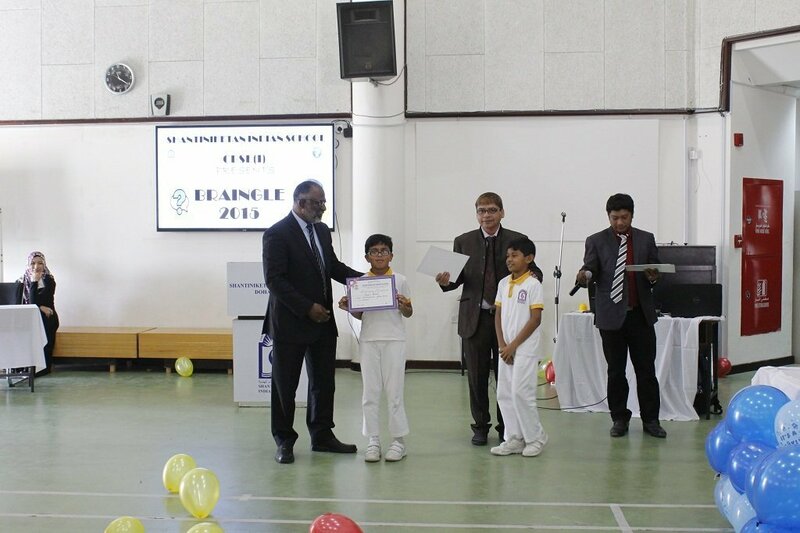 Mr. Donald Dcosta conceptualized Braingle -a brain teasing quiz event for both the Juniors and Senior Students. 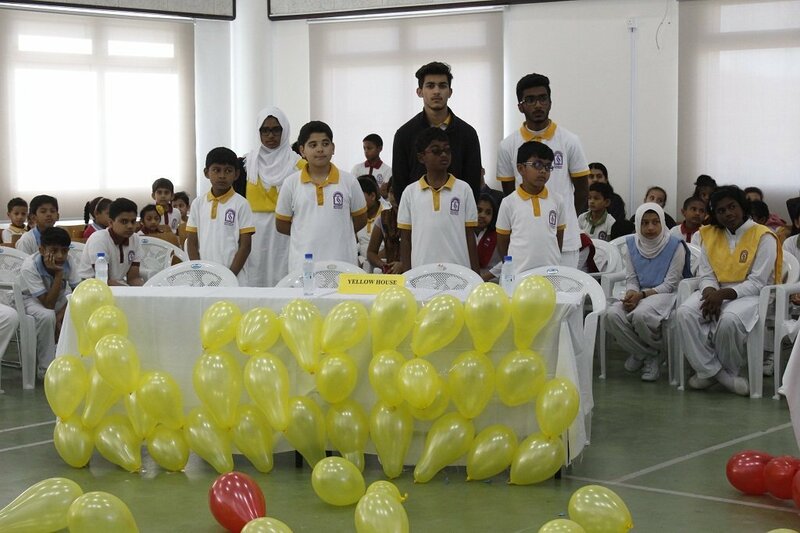 Selected students from Blue, Green, Yellow and Red Houses encountered some thought provoking questions from General Knowledge ,Science, Mathematics, English Literature, Social Studies and General Studies comprising of three rounds as – General round, Audio- Visual round and Rapid Fire round. 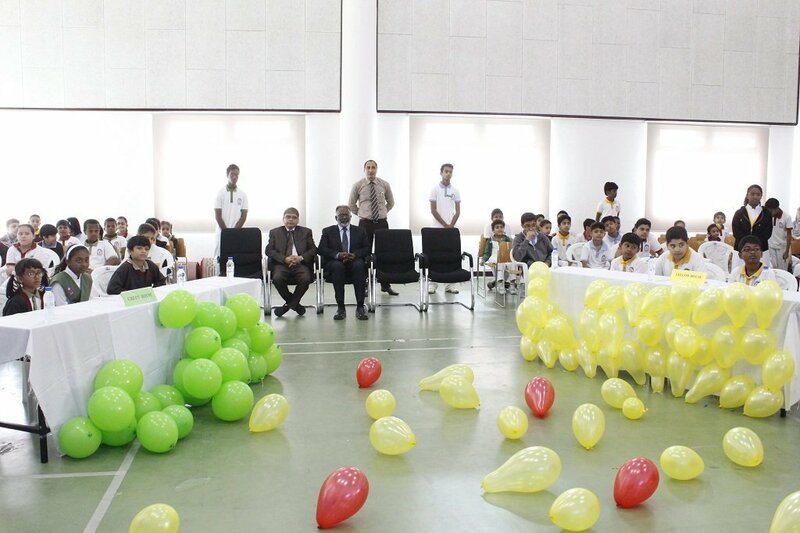 Contestants from both the categories displayed a high level of IQ during the whole event. 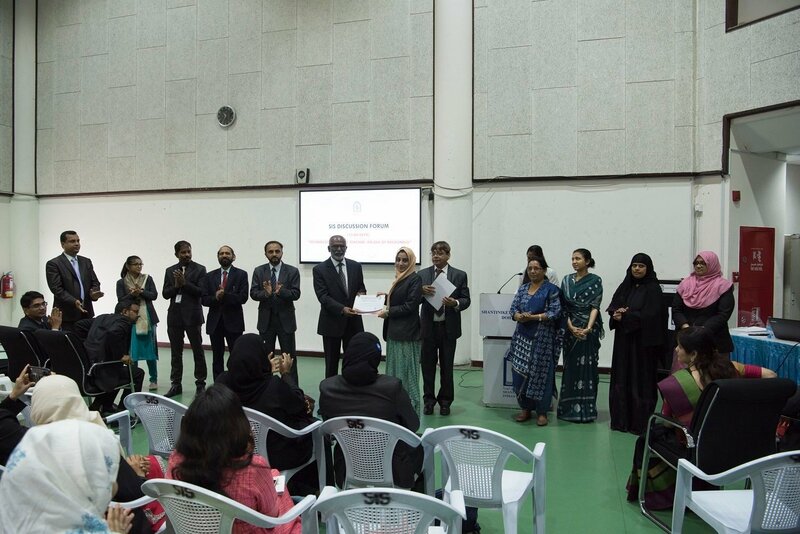 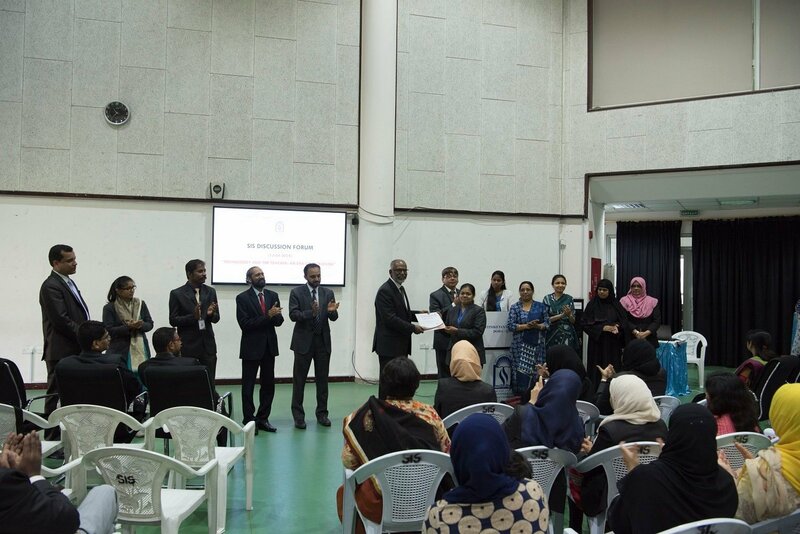 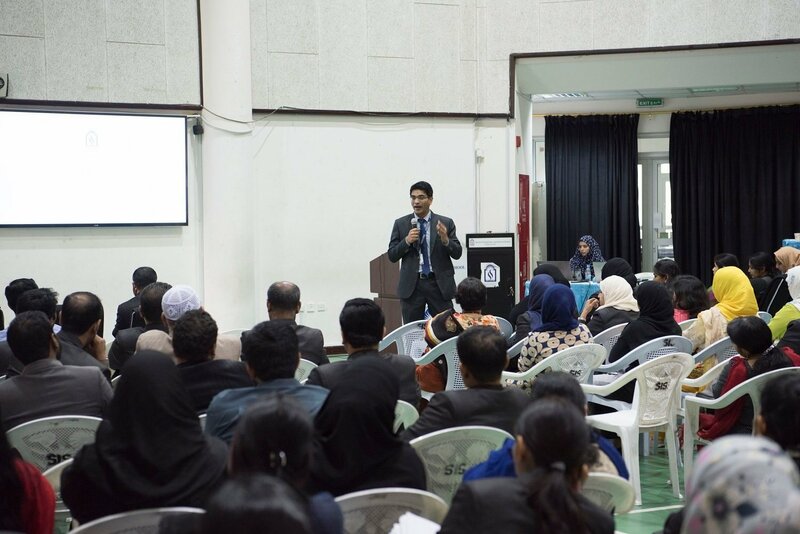 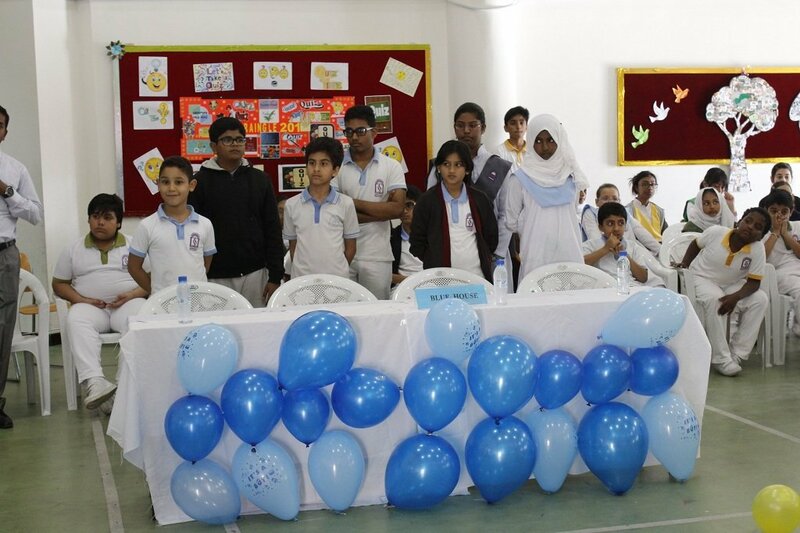 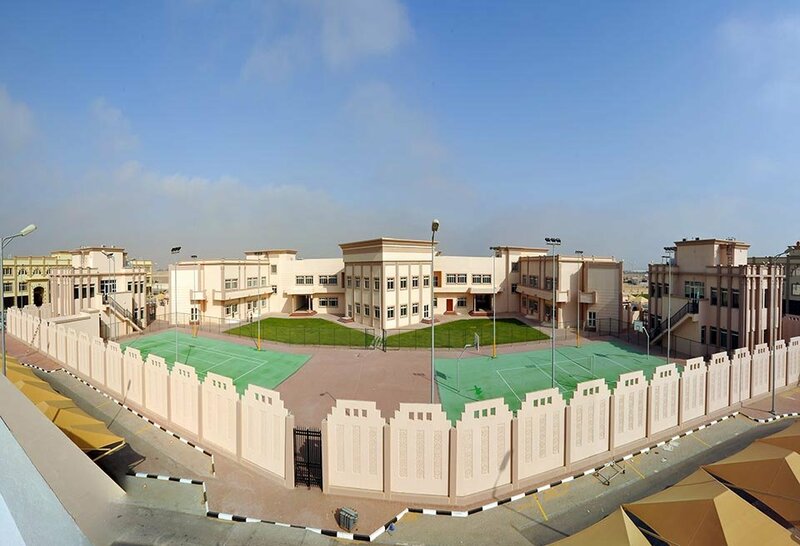 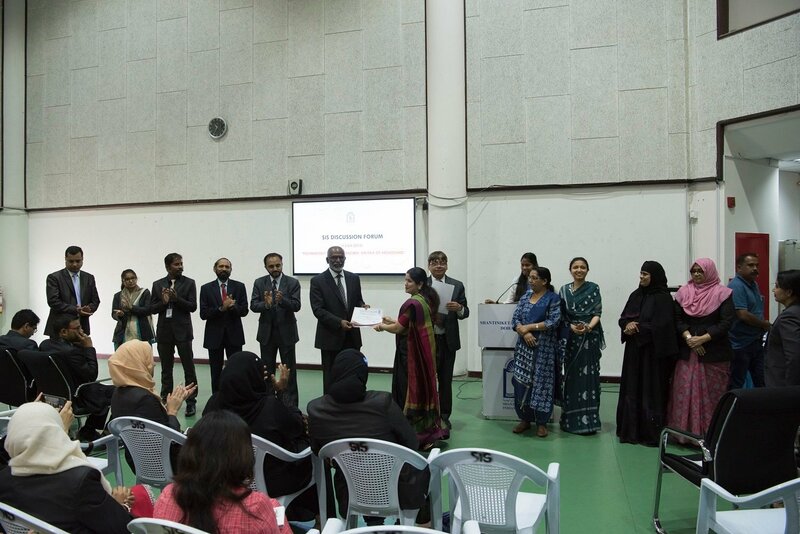 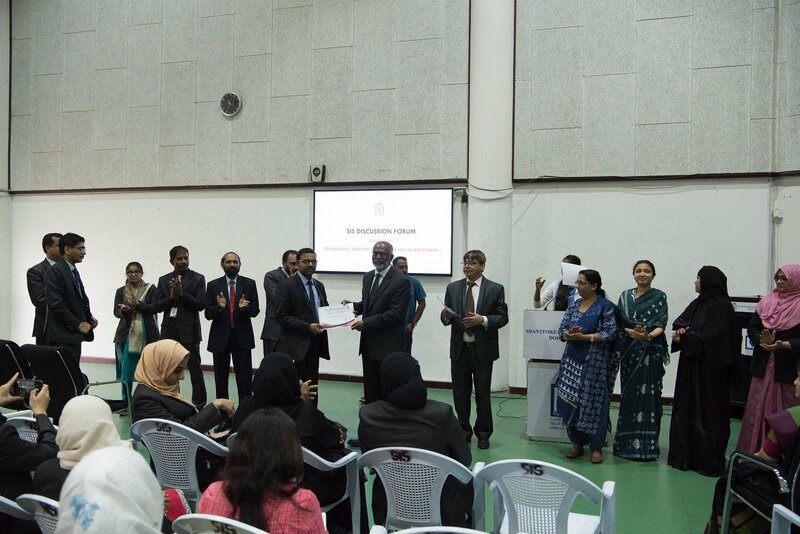 It was very closely contested in which Blue House (Marwan Magdy, Abeer Bin Mohammed, Lamiya , and Ali Nadeem) emerged as winners in the Junior Category, The Senior category title was won by Green House (Ziku Islam, Astha Kumar and Giselle Fernadez). 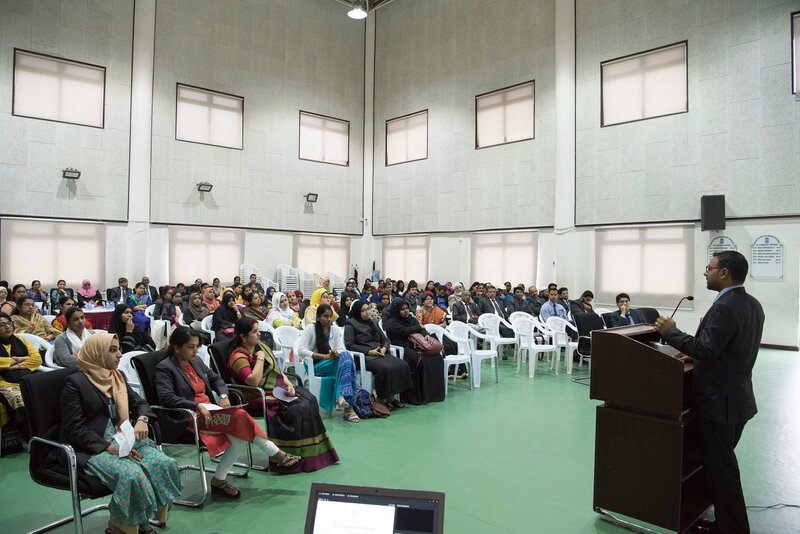 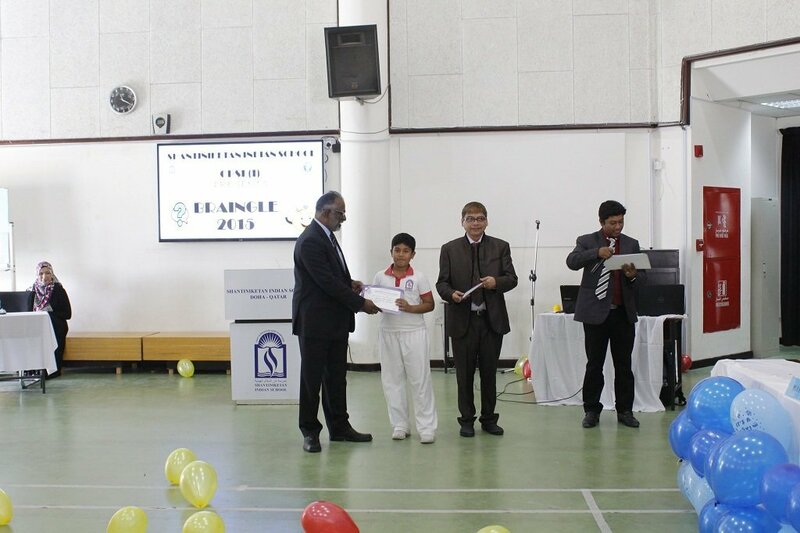 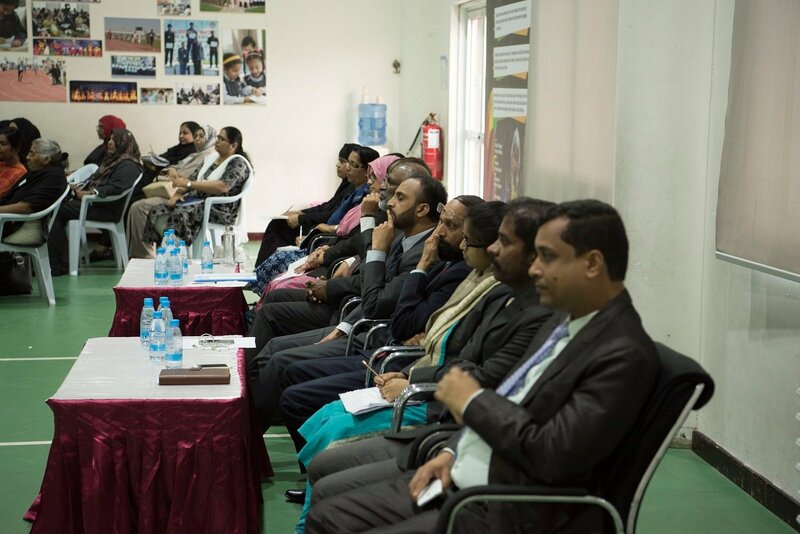 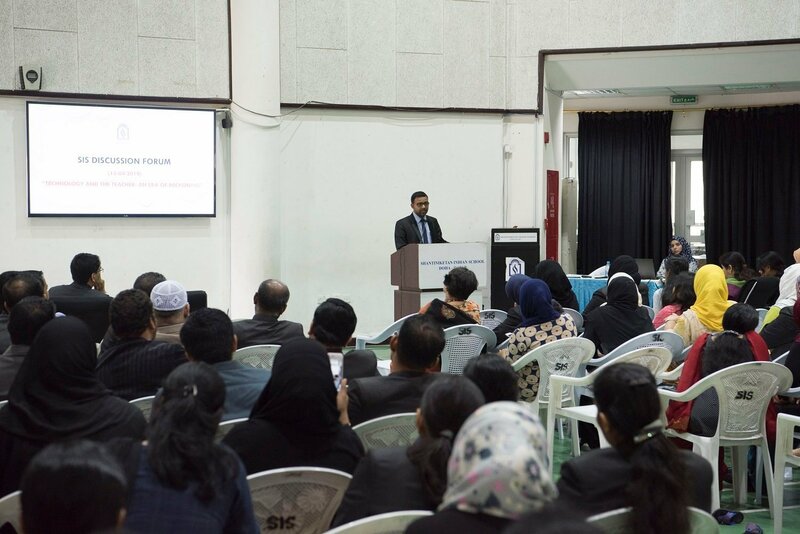 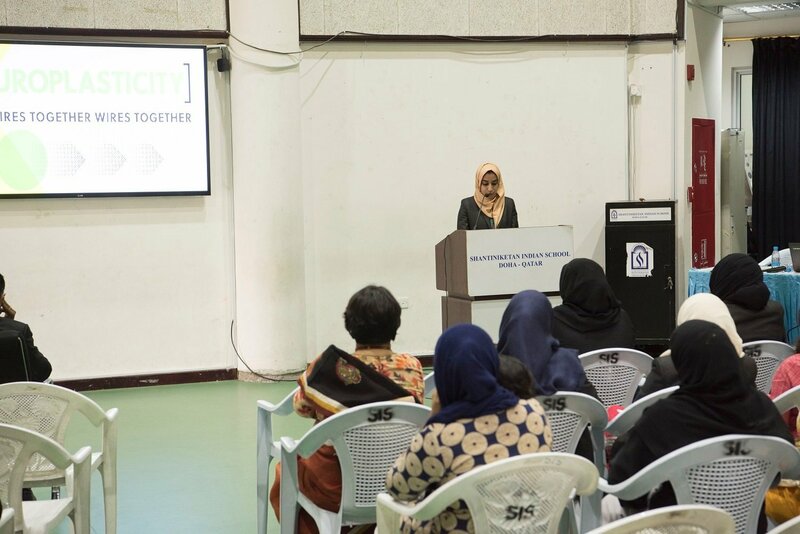 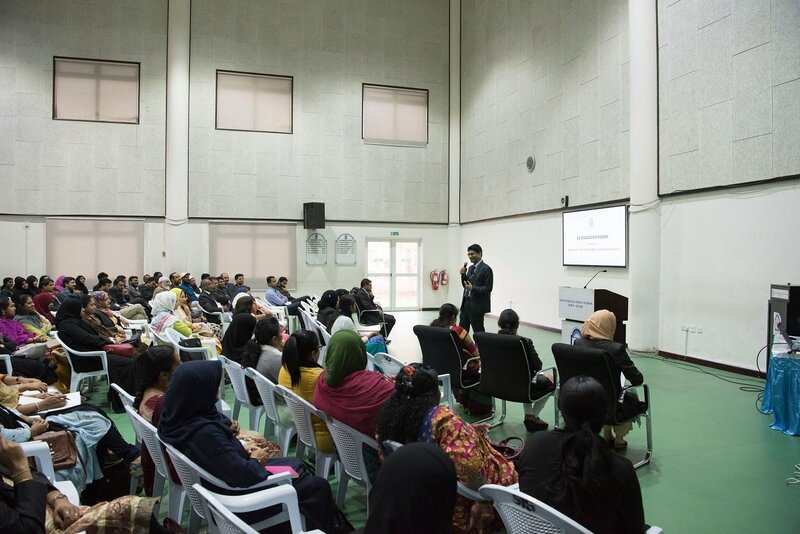 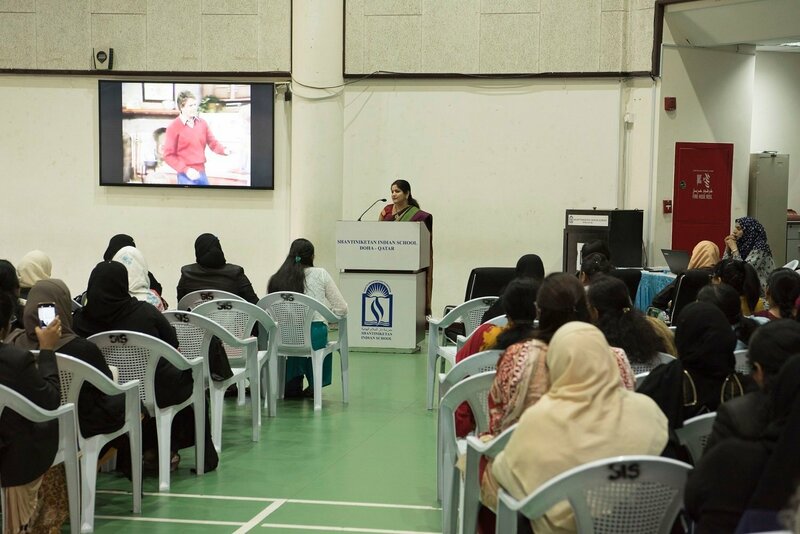 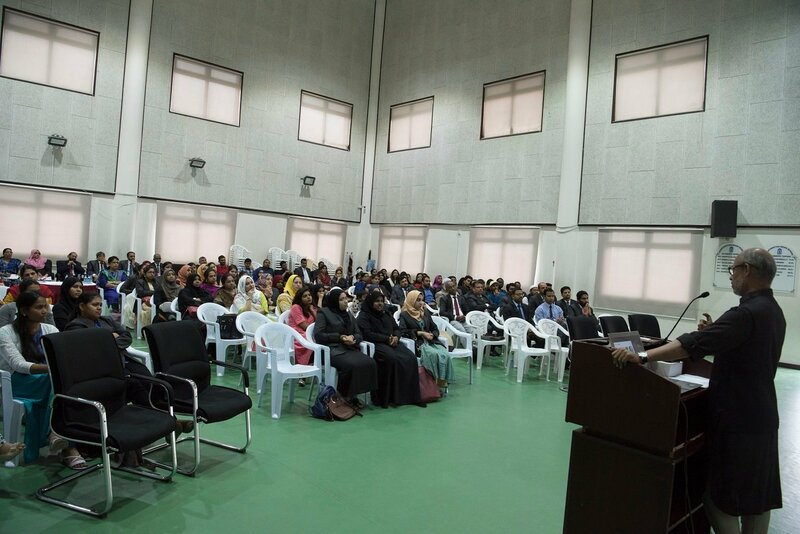 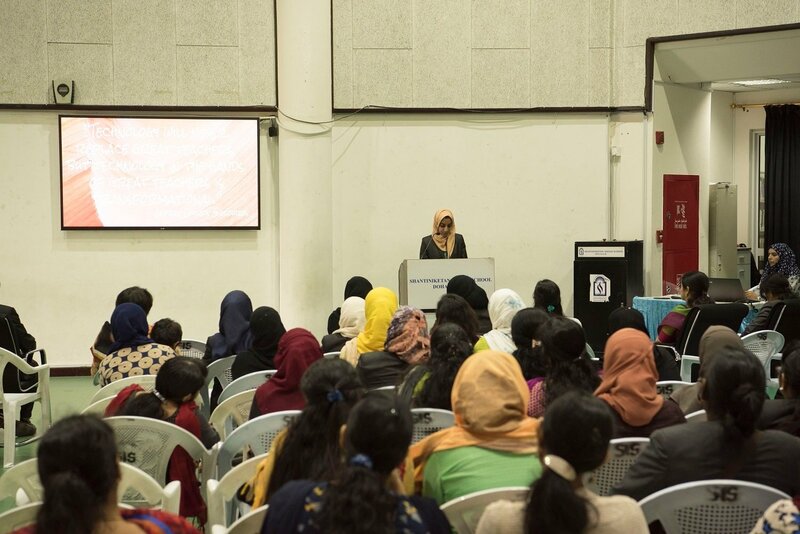 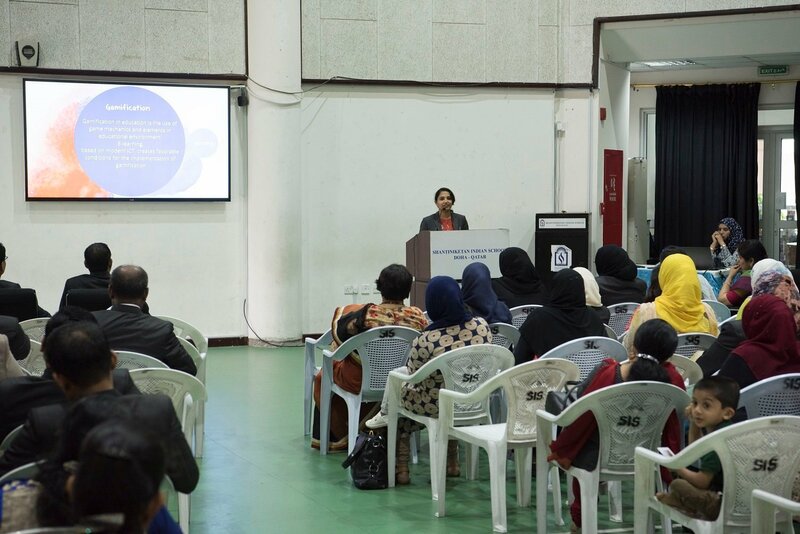 The event was keenly attended by the Principal, Vice-Principals and Section Heads. 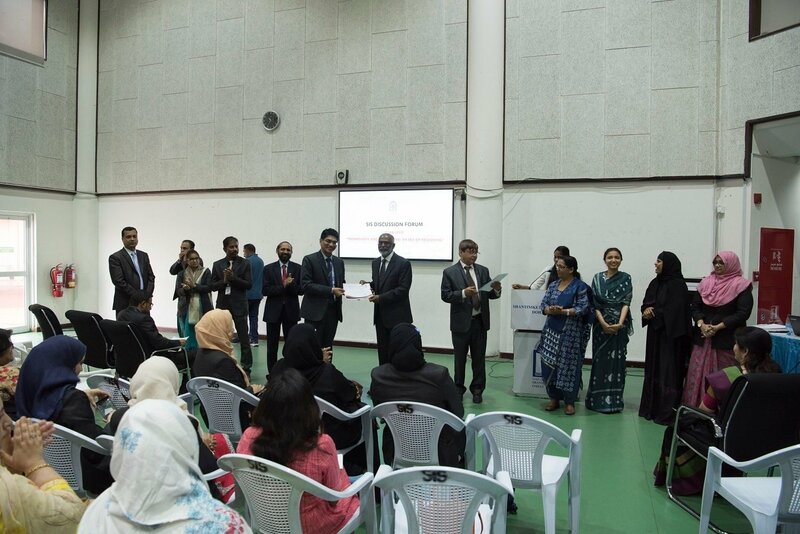 The parents showed great enthusiasm and spirit to encourage and support the event. 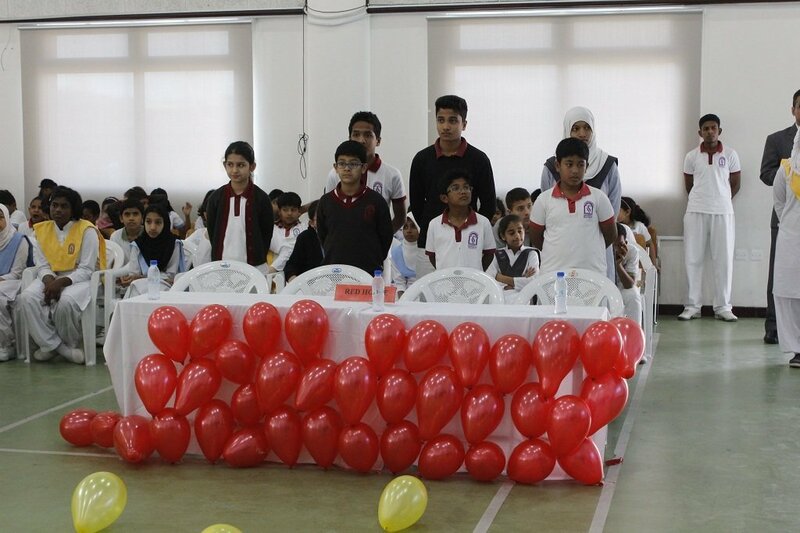 The event was enkindled with some smart quizzing by Mr. Donald Dcosta and Mrs. Annu Kumari in the Junior Category. 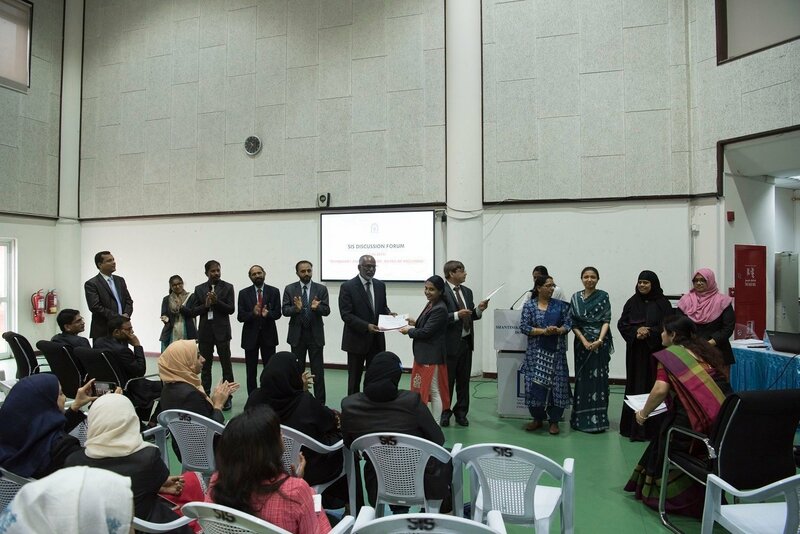 Mrs. Afshan and Mr. Christopher Jacob were fabulous to make the senior category highly interesting. 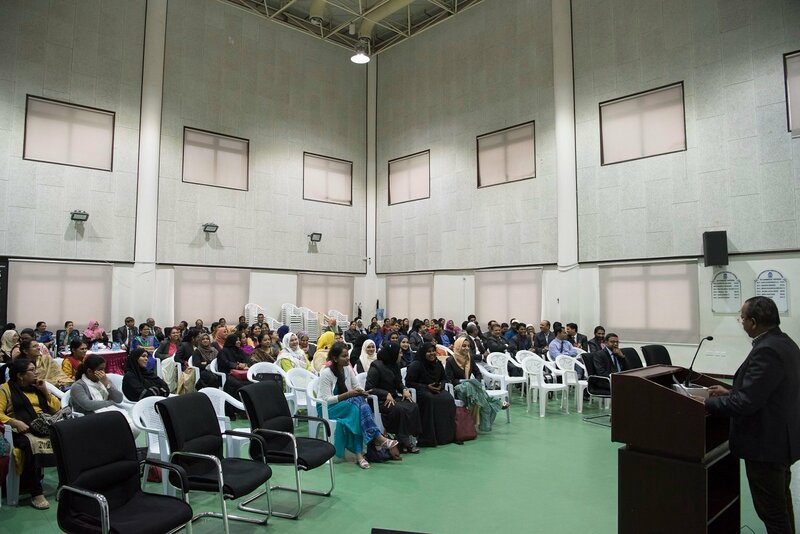 Students, who also formed the audience, were not far behind when the questions were passed on to them. 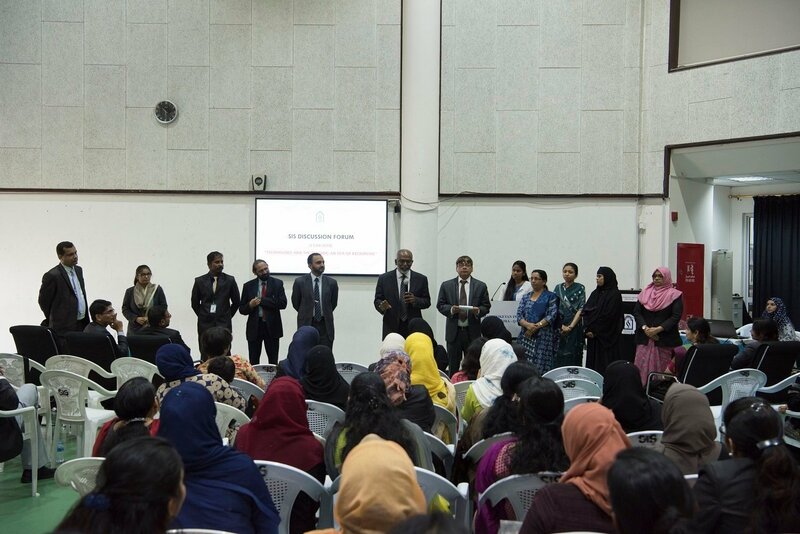 Mr. Dudley O‘Connor, the Vice-Principal of the CBSEi wing closed the event appreciating the hard work and sincere efforts of the Braingle Team – Participants and Organizers. 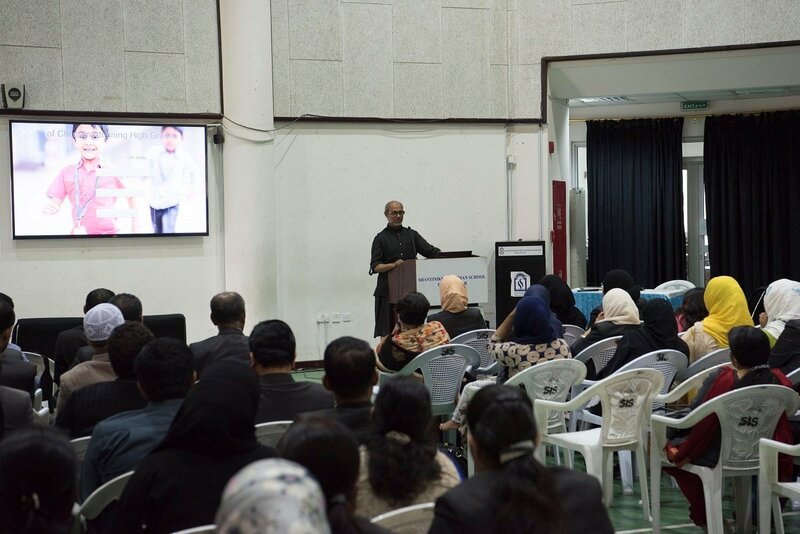 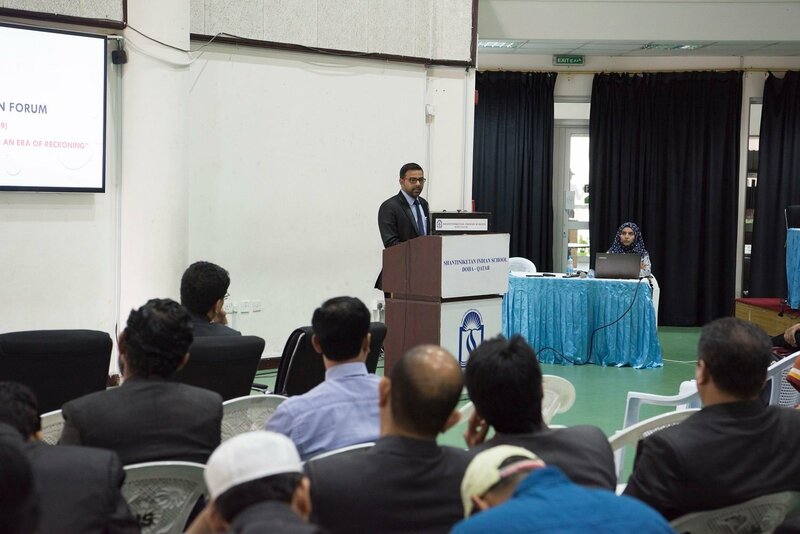 During his closing speech, he recalled the challenges that students have to face to emerge successful.